I was hit by an uninsured DUI (driver). One of my medical treatments involved an ambulatory surgery center, to whom I provided my health insurance and auto insurance information. Recently I received a letter indicating they would turn my account over to collections because it was not paid by the auto insurance. Jennifer went on to explain that she has health insurance, and provided that information to the surgery center, but because they failed to bill the health insurance company in a timely manner, the claim has been rejected. Now she feels stuck. That process can be confusing for providers and patients. Various types of insurance coverage may come into play in the case of an auto accident, including Personal Injury Protection, which is mandatory coverage on auto insurance in some states and optional in others; Medical Payments coverage, which may be optional on auto insurance policies; private health insurance; supplemental accident coverage; or Medicare. But it’s not always clear who has primary responsibility to pay in the case of an accident, though some states have no-fault laws that “circumvent the often lengthy process of determining liability,” says Vahle. Even when it is clear who should pay, there can be problems. Insurance companies may deny claims or drag out payment, or bills may be incorrectly coded or sent to the wrong insurer. Any of those scenarios can create further complications that could leave you on the hook for part or all of the bill. Ultimately, you are responsible to your medical providers for the medical bills you incur so your goal throughout this process is to minimize your expenses by getting insurance companies to pay covered claims. But secondarily, your goal should be to keep your medical bills out of collections. Once they get to that point, it may be too late to protect your credit from damage. The collection agency will likely report the item as a collection account on your credit reports and your credit scores can drop dramatically as a result. Here are some steps you can take to help protect yourself, and minimize the chance that your credit will take a hit. Don’t assume one insurance company will or won’t pay. If you have auto and health insurance, for example, provide complete information about both policies to all the providers involved. 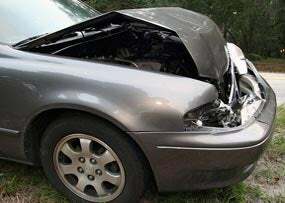 “When you are in an auto accident, it’s critical to immediately report it to your insurance company and get a claim number and make sure that you give the auto insurance claim number and your health insurance information to all of the medical providers that treat you,” recommends attorney Bill Robertson with the law firm Kirk Pinkerton P.A. in Sarasota, Florida. Don’t wait. “It is important to report an accident to your insurance company promptly. An insurance company may try to use a delay by the accident victim in reporting the accident as grounds for denial of the claim,” warns Eric Deming, an attorney with the law firm Morgan & Morgan. While most health care providers understand that processing auto accident insurance claims is complicated, don’t assume they are going to wait forever for payment. “Confirm that your provider is willing to do this coordination on your behalf!” says Vahle. It’s not a bad idea to start a folder where you can save all the correspondence and bills you receive about the accident. You can also use it to store handwritten notes you take if you talk with anyone over the phone about the accident. Contact the medical provider if you aren’t sure it has all your up-to-date insurance information. “Double check all the information they have on file is correct. The most common denial that providers’ see is for member ID mismatches,” Vahle says. Also read the Explanations of Benefits statements (EOBs) that you receive from insurance companies. If an EOB lists a balance as “patient responsibility,” contact the medical provider to find out whether other insurance will be billed for that amount, or if you need to pay it yourself. If your health care provider is in-network, then there’s a good chance that it is required to follow certain billing procedures. If the provider fails to bill in a timely manner, for example, it may not be allowed to bill the patient for that claim. “Or it may not be allowed to try to collect the difference between the billed amount and the amount the insurance company agrees to pay,” explains Vahle. Talk with your insurance company it you think a provider is trying to balance bill you. Greg Isaacs is the President of CoverHound Insurance Solutions, an online insurance comparison website. Even if the insurer you’re having trouble with is not your own, your independent agent may have relationships with other insurance companies that can help. “Plus (your agent) speaks the language,” he adds. “That’s one of the key jobs an attorney has is to try to help keep the bills out of collections,” says Robertson. “That’s what we do every day.” Your attorney should be familiar with most medical billing procedures in the case of accidents, and may be able to ask a provider to hold off on collection until a settlement is reached. It’s best to talk with an attorney as soon as possible after the accident so you can avoid problems that may develop. But it you haven’t, you can consult one later in the process as well. Most personal injury attorneys offer a free consultation and work on a contingent-fee basis, which means there is no payment unless there is a recovery. If it turns out you are responsible for some of the medical bills that result from an accident, you may be able to negotiate a reduction in the amount you owe. If you are working with an attorney, “the attorney may be able to negotiate that with the medical provider” on your behalf, says Eric Deming, an attorney with the law firm Morgan & Morgan. If you are not working with an attorney, and you are overwhelmed with the process of understanding or challenging your medical bills, you may want to turn to a patient advocate; an expert who helps patients analyze, dispute and even negotiate medical bills. Copatient.com is one such firm. They offer a free review of medical bills with additional services billed as a percentage of the money saved by the client. Alternatively, current or retired labor union members may be able to tap into a free medical bill negotiation service. Does money received in a settlement from a car accident become and asset that someone can collect against? After all this money is to cover future medical and damage to my person. Maria It depends on the type of settlement you received as well as other factors. Your best bet is to talk with a bankruptcy attorney in your area to discuss what assets are safe and what may be at risk if you are falling behind on your bills. Ever since the insurance company wrote off my car I’ve been researching a replacement, but in the meantime it just seems a bit silly to fork out a heap of cash for a bit of tin that only gets used on a Saturday morning for weekend sports. Almost 3 years ago I was in an auto accident. Since then my hospital bills had been sent to collections. I had no health insurance so no way to pay at the time. I am just now getting the settlement money. I had heard that there is a way to possibly clean up the credit related to those bills due to the circumstances using an affidavit. Is there any truth to that? So sorry to hear what you’ve been through. I assume these are listed on your credit reports as medical collection accounts? If so, I know of no affidavit that will clear this up. The only thing I can suggest is talking with the collection agencies and asking them to delete the items when you pay them off, given the circumstances. They aren’t obligated to do that, but they may be willing to work with you. Having said that, if you are working with an attorney to get that settlement, you should talk with your attorney. Many times they are experts in managing these situations to minimize credit damage.